Who's Bill This Time Bill Kurtis reads three quotes from the week's news: "Saudi Arabeas Corpus," "DNA TMI," and "Canuck Kush." Bill Kurtis reads three quotes from the week's news: "Saudi Arabeas Corpus," "DNA TMI," and "Canuck Kush." KURTIS: And I'm Bill Kurtis. And here is your host at the Chase Bank Auditorium in downtown Chicago, Peter Sagal. SAGAL: ...Under oath and end up on the Supreme Court. SAGAL: We need your help to unravel the mysteries of this week's news, so give us a call. The number is 1-888-WAIT-WAIT - that's 1-888-924-8924. Now let's welcome our first listener contestant. ZACH: Hey, this is Zach from Washington, D.C.
SAGAL: Hey, Zach. How are you? What's all going on in Washington? SAGAL: I'm sorry, I forgot myself. Don't answer that. ZACH: Yeah, not much that I'd like to talk about. SAGAL: Yeah. Now, do you work in the permanent government in the city? What do you do there? ZACH: No, I work in the tech industry. I work for Uber, actually. SAGAL: ...Found something more evil to do. I think that's great. SAGAL: Well, welcome to the show, Zach. Let me introduce you to our panel this week. First up, it's the comedian who'll be headlining at the Wilbur in Boston on Saturday, October 26. It's Hari Kondabolu. SAGAL: Next - yes, it's her, the syndicated advice columnist behind Ask Amy. It's Amy Dickinson. SAGAL: And, finally, it's a correspondent for "CBS Sunday Morning" and host of "The Henry Ford's Innovation Nation" Saturdays on CBS. It's Mo Rocca. SAGAL: So, Zach, welcome to the show. You, of course, are going to play Who's Bill This Time. Bill Kurtis is once again going to perform for you three quotations from the week's news. Your job, as I'm sure you know - identify or explain two of them. 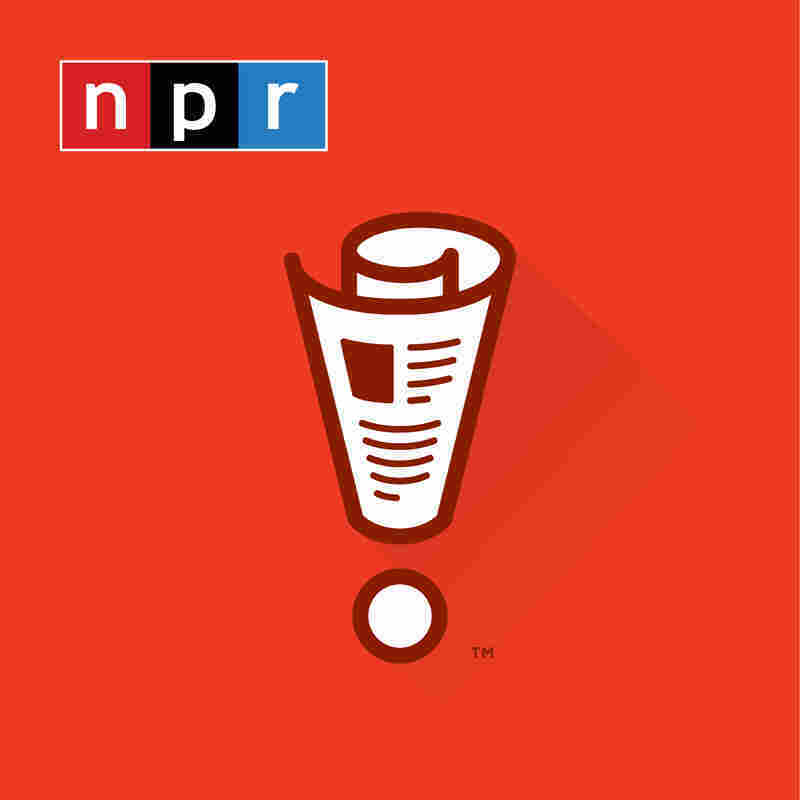 Do that, and you win the prize - any voice from our show you might choose on your voicemail. Are you ready to play? KURTIS: You know, here we go again with you know you're guilty until proven innocent. SAGAL: That was President Trump defending what purely innocent country that is definitely guilty? SAGAL: It is Saudi Arabia. SAGAL: So journalist Jamal Khashoggi disappeared in a Saudi consulate last week. And, at first, Saudi Arabia said, you know, he just left. And then they said, well, we don't really have any idea what happened to him. And then, finally, they said, OK, what if we told you he went to live on a farm upstate? SAGAL: So it became an international scandal. But, fortunately, detective Trump is on the case. SAGAL: He's just like Lieutenant Columbo. He's just about to leave, but he stops, and he turns, and he says, oh, one more thing. You totally didn't do it, right? I thought so. ROCCA: Oh, that poor 400-pound guy in New Jersey. SAGAL: He's up to it again. ROCCA: He's going to take the blame again. SAGAL: Trump says he believes the Saudis, who say they didn't do it - especially Prince Mohammed bin Salman, who's taken over that country, imprisoned his enemies and now gone after dissidents. Isn't it weird? Trump finally finds one Muslim he does not hate, and it's the worst Muslim in the world? ROCCA: It's just got to be. SAGAL: ...Mr. Kavanaugh appreciated, yes. SAGAL: There are similarities to the Kavanaugh case, if you think about it. The Saudis say they couldn't have done anything to Khashoggi because, according to this calendar, they were lifting weights with Squee and P.J. ROCCA: That's disgusting. It just makes me want to boof (ph). I'm sorry, I mean barf. HARI KONDABOLU: I think people are giving Saudi Arabia a pretty rough go at this. I don't think it's completely - there are some positives in this. SAGAL: Really? What are they? KONDABOLU: So they do a lot of terrible things. However, the getaway driver was a woman. DICKINSON: Right, it's Saudi Arabia. DICKINSON: She's only had her license for, like, three weeks or something. KONDABOLU: That is progress. That is progress. DICKINSON: Oh, wow. I did not know that. SAGAL: All right, very good. Here is your next quote. KURTIS: She should have gone on the "Maury" show to reveal the results. SAGAL: That was a Washington Post commenter reacting to whose big DNA test reveal this week? ZACH: That would be Elizabeth Warren. SAGAL: It would be Elizabeth Warren. SAGAL: Sen. Warren of Massachusetts, who the president likes to call Pocahontas, now poses a real problem for him in 2020 because, with her as his potential opponent, he wouldn't be able to decide whether to be racist or sexist. SAGAL: ...Native American. That's a tiny fraction. It means that, instead of losing her ancestral lands, she just had to give up a parking spot. KONDABOLU: Well, she's either Native American or a margin-of-error-orican (ph). ROCCA: I just wanted to say my friend Carol (ph) is half Jewish, half Native American, and we say that she's from the hi, how are you tribe. DICKINSON: I want to know, what was Elizabeth Warren thinking, doing that? ROCCA: ...Neanderthal do you - how much Neanderthal do you have? DICKINSON: Quite a bit. Quite a bit. KONDABOLU: ...Which is take a DNA test to prove you're not white. ROCCA: I think this whole controversy is a lot of Sitting Bull. ROCCA: And I think that Elizabeth Warren has wounded more than her knee. ROCCA: I mean, she's a total Crazy Horse. KURTIS: This is never going to be smoked. I'm going to keep it forever. SAGAL: That was a man named Ian Power, one of the first people to legally buy what in Canada? KONDABOLU: Do you know if they're changing the leaf on the flag? KONDABOLU: That would be fun. DICKINSON: But I love this. On the - on Wednesday, when it became legal, the Globe and Mail newspaper published on the front page an infographic of how to roll a joint. How cute is that? SAGAL: ...Because the only way you can talk to a stoned country is to be stoned yourself. KONDABOLU: What kind of snacks do they have in Uruguay? SAGAL: Bill, how did Zach do on our quiz? KURTIS: Trifecta for Zach - he got them all right. SAGAL: Congratulations. Well done, Zach.